Leftover turkey can get pretty boring, especially when all the stuffing and potatoes have been eaten. You could make turkey sandwiches to your hearts desire, but you can count me out. 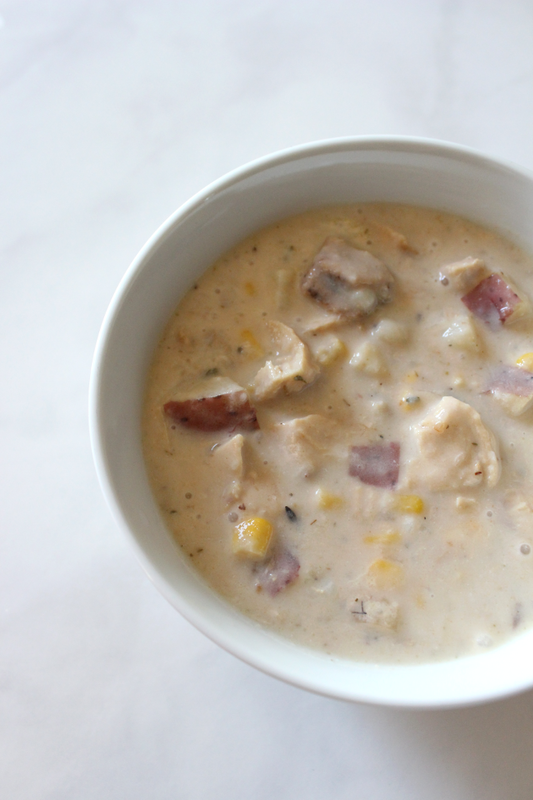 Instead, I will opt for this awesome turkey chowder I slapped together. The term slapped together just sounds delicious, right? Soups and chowders are super simple to make. 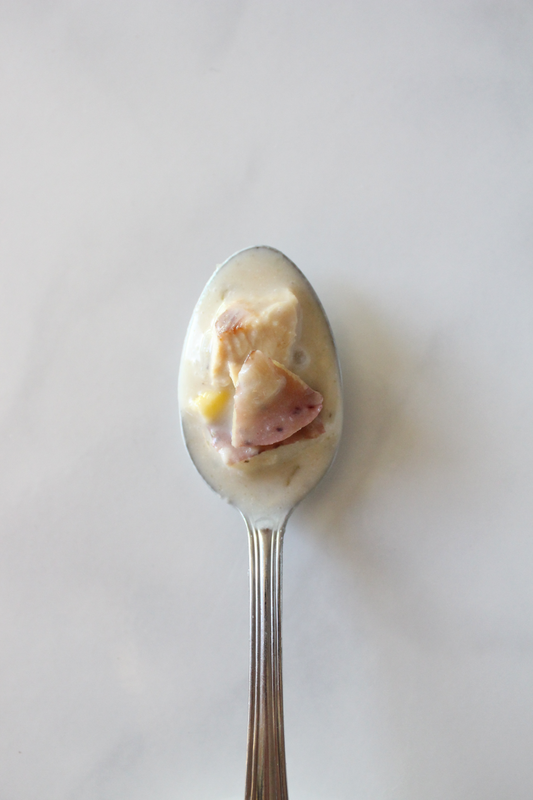 Save your turkey bones to make delicious (and nutritious) bone broth to use in this chowder. Oregano and thyme are my favorites herbs to cook with but you can use whatever you prefer. Either way, it’s hard to go wrong. 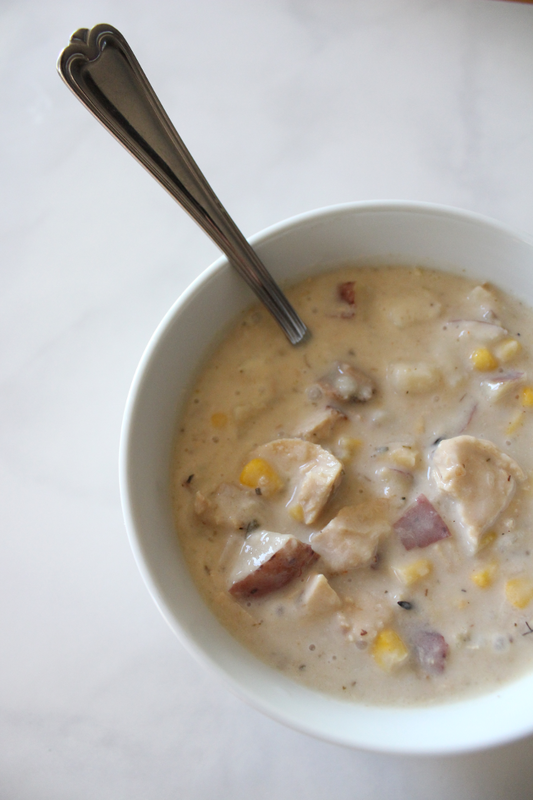 It’s safe to say that this chowder is one of my favorite ways to use up leftover turkey. Melt butter in large stock pot over medium high heat. Add onion, carrot and garlic. Saute until carrots are tender and onions are translucent. Add in 1 cup frozen corn and diced potatoes and stir for about 5 minutes, until potatoes begin to tenderize. Pour in 3 cups turkey stock and season with oregano, thyme, red pepper, salt and black pepper. Bring to a high simmer and continue to cook over medium high heat until potatoes are just tender, about 10 minutes. Add in turkey and simmer until heated through, about 5 minutes. Stir in heavy cream and salt and pepper to taste.